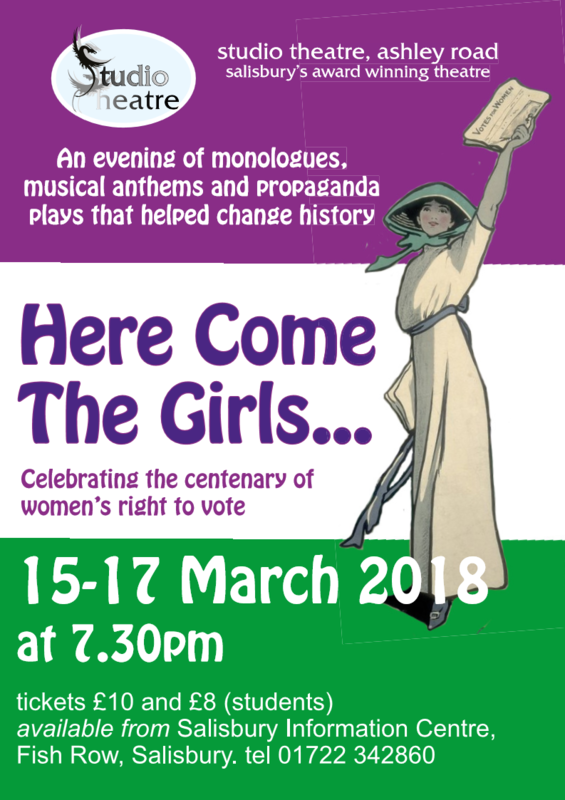 HERE Come The Girls was a fitting tribute to mark the centenary of women getting the right to vote. The production was made up of a selection of monologues, musical anthems and propaganda plays that gave you a taste of the views surrounding women’s suffrage. I loved the selection of plays especially The Twelve Pound Look and How the Vote was Won. The singing and acting was top notch. It was a thoroughly entertaining evening. This entry was posted on February 23, 2018 by salisbury_matt in whats-on.